As promised over the weekend, a new trailer for Star Wars: The Last Jedi dropped last night during Monday Night Football. And of course, it’s all that anyone is talking about this morning, and with good reason. 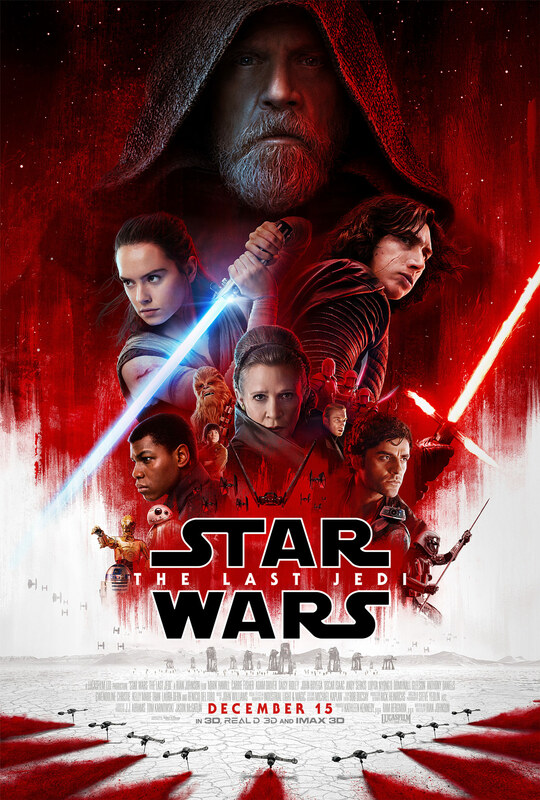 Even director Rian Johnson, who had previously advised against watching anything The Last Jedi related, said you should watch it because it’s just that good. Star Wars: The Last Jedi arrives December 15, 2017. So now that we’ve seen a bit more of the movie, what do you think? It looks like there could be some unexpected things taking place, or maybe that’s just what they want us to think… I have a lot going through my mind, but I’m still trying to process everything I just saw, so I’ll keep my thoughts to myself. For now. And what are your thoughts on the new poster? Are you digging it as much as I am?